Not sure about the second question but I know the radio and pocket locations can be swapped with this kit. Edit: Looking at that Good-Win gauges kit, I don't see why it wouldn't fit. Yes, the radio can be put on the bottom. I went back and did that actually, and I prefer it. I'm not sure about the Goodwin panel specifically, but the Metra kit comes with another panel that has a blank space instead of a pocket. It would be easy to cut a piece of plastic to size and cut holes for your gauges. The Goodwin may pop in perfectly, or at least go in with a little trimming. I can't be certain about that though. Paqman, as you seem to know, the antenna should not come on when the car is on, UNLESS the radio is also on. From my car audio experience and not being there to see how your system is wired it sounds like the power antenna lead from the car side is wired to a "switched" power lead. A switched power lead is one that supplies 12V when the key is in an ON position. So when you turn your car on it is telling the power antenna to extend. Your radio should have a BLUE (or BLUE/WHITE) accessory power lead. This is where the antenna power lead from your car should connect to. From my car stereo experience with Sony radios I can tell you some of them actually have TWO accessory power wires. The BLUE wire is the antenna remote lead and the BLUE/WHITE wire is the amp remote lead. In the case of the Sony you would use the blue wire and then the antenna should ONLY raise when you are actually listening to the tuner section of the radio. When you switch to another source (CD/CD CHANGER/AUX/BT) the antenna would lower itself. 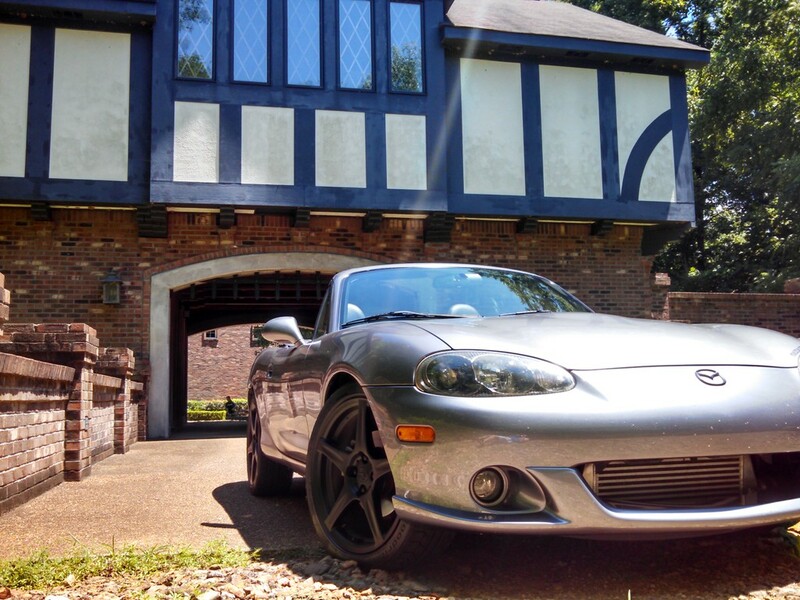 I have to admit, I do not have a Miata. I have just recently been introduced to the fun and excitement of driving a friend's 2002 Special Edition. I am now currently looking for a decent low to mid mileage 2004 in the silver/gray/mica whatever the color is called with leather seats. So, knowing I do not have one yet to point you in the correct direction just take this reply as you wish. Well from what I've read this is how it's gone for others. And certainly with the stock stereo it functioned properly. But with this stereo it seems that function is lost. But when I get some time, I'll pull it out and take a look. Thanks for your input.